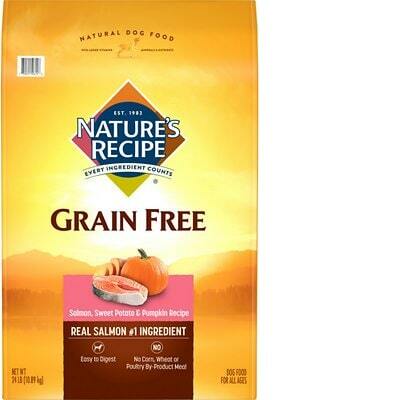 Nature's Recipe Grain-Free Salmon, Sweet Potato & Pumpkin Recipe is a low-priced dog food with average quality. This product has 2 controversial ingredients but does not have any artificial preservatives, colors or flavors. The food has a high amount of carbs, compared to its protein and fat with mixed meat and fat quality. Nature's Recipe has a below-average number of recalls but was not very transparent when answering our questions. This food has a fair amount of protein fat but is high in carbs, which is lowering the fat content slightly and making it less nutritionally balanced compared to other dog foods we evaluated. Carbohydrates are cheap so they keep the food’s cost low. They are nutritionally useful to dogs in the right amounts, however, high amounts of carbs can reduce the much-needed meat-based protein and fat content. The average dog food we reviewed has 39 total ingredients, with 1 controversial ingredient. This product has 2 total controversial ingredients. Salmon offers one of the highest Omega-3 contents of any type of fish. Raw meat contains about 75% water which is cooked off during the making of dog food. This leaves only a fraction of the protein content in the final product weight. We recommend looking for dog foods that also include meat meals in the first five ingredients (pre-cooked meat powder that contains four times the amount of protein). Salmon is generally a healthy dog food ingredient. Garbanzo beans (also called chickpeas) are a legume that provides nutrients such as protein, fiber, folate, iron and phosphorus. They are generally a healthy dog food ingredient. Salmon meal is generally a healthy dog food ingredient. Salmon offers one of the highest Omega-3 contents of any type of fish. Meat meals are the result of cooking. Water is removed from meats to create a protein-rich meal powder. Meat meals contain about four times the protein meats do, so generally, they're a good source of nutrients. While poultry fat is generally healthy for dogs, this ingredient doesn't identify the species it comes from making it questionable and intransparent. This includes the potential that rancid, dead, dying, disabled or diseased fat sources could have been used. For these reasons, we do not consider this a high-quality ingredient. Nature's Recipe is USA-made. We like dog foods made in the United States, Canada and Europe because of those regions’ high dog food safety regulations. Salmon and Salmon Meal are the clearly labelled protein sources but the added Poultry Fat is much more intransparent. It doesn’t tell you which animal(s) it’s made from, making the quality potentially questionable. This product contains 0 controversial artificial preservatives. Here’s a quick primer on this topic: It’s good to know that ‍not all artificial preservatives are bad. That’s because they serve an important purpose, which is to prevent food from spoiling. However, we consider 11 artificial preservatives controversial because of their potential link to cancer and other serious health conditions. No artificial colors, either. Excellent! Last but not least, we didn’t see artificial flavors in this dog food. No controversial artificial preservatives, colors or flavors - this product aced all three. 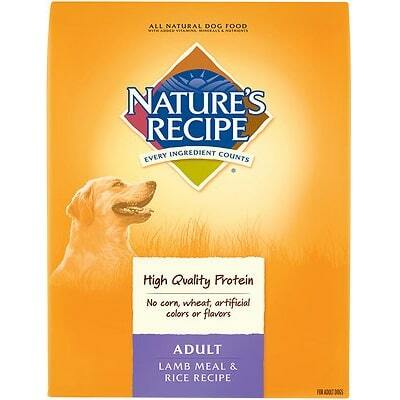 Compared to other brands we reviewed, Nature's Recipe has fewer than average dog food recalls. Product may be contaminated with Salmonella. This suggests that all brands should receive the same answers to the following questions. So for the following brands you will find the same responses: Gravy Train, Kibbles ‘n Bits, Nature’s Recipe, and Rachael Ray Nutrish. 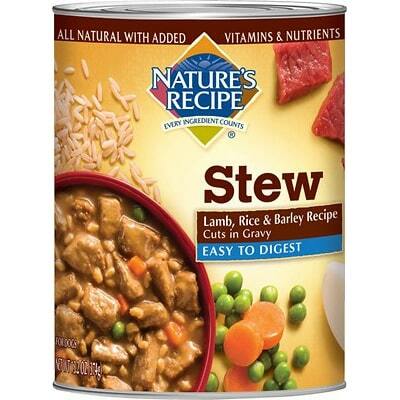 Gravy Train™ [Nature’s Recipe] products are manufactured by The J.M. Smucker Company, where a veterinary nutritionist is on staff. At The J.M. Smucker Company, quality products begin with quality ingredients. A dedicated team formulates Gravy Train™ [Nature’s Recipe] products to ensure they are nutritionally complete and balanced. Some teams involved include Research and Development, Quality Assurance and Marketing. Our products are produced to be nutritionally complete and balanced, and products are labeled in accordance with all applicable laws and regulations. In addition, our team works with veterinarians to provide the information they need to make the right dietary choice for the animal in their care..